← Day 6 – motor and wasps! Since its the weekend and the guys are off today I figured I’d post something not about the restoration to pass the time. 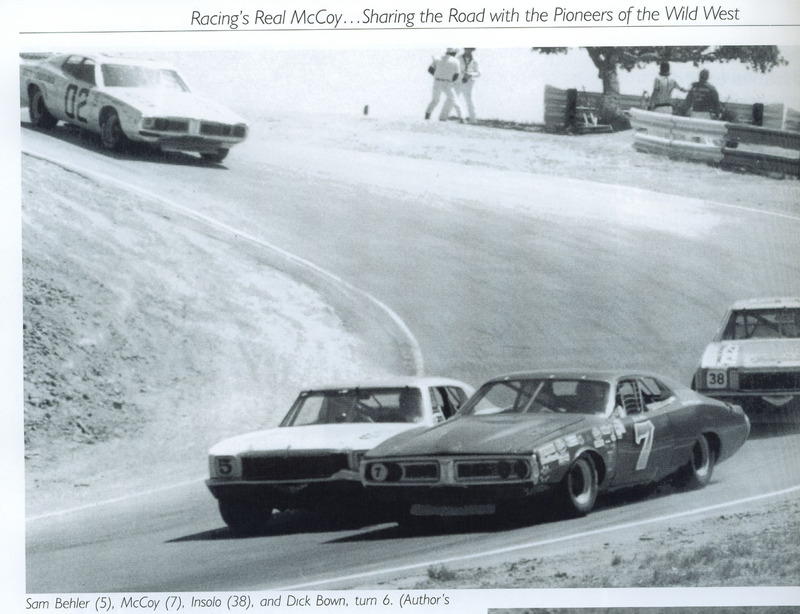 I have received several comments (some negative) from folks regarding the validity of Grand National Stock Cars running at this years Monterey Motorsports Reunion. I pose a question to you; what makes a car worthy of being at the “Monterey Historics”? I’ll put forth my own definition: It should be a car (or group of cars) which have significant historical importance to the sport of auto racing. 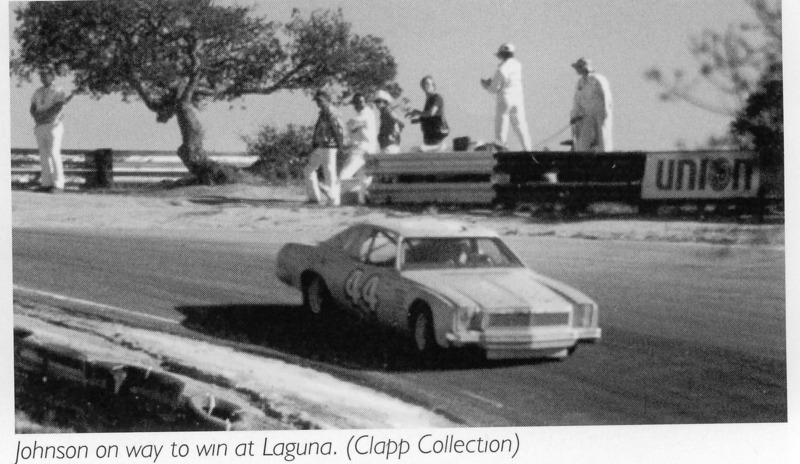 It should also have been a car which could have, or did race at Laguna Seca back in the period the cars ran in. 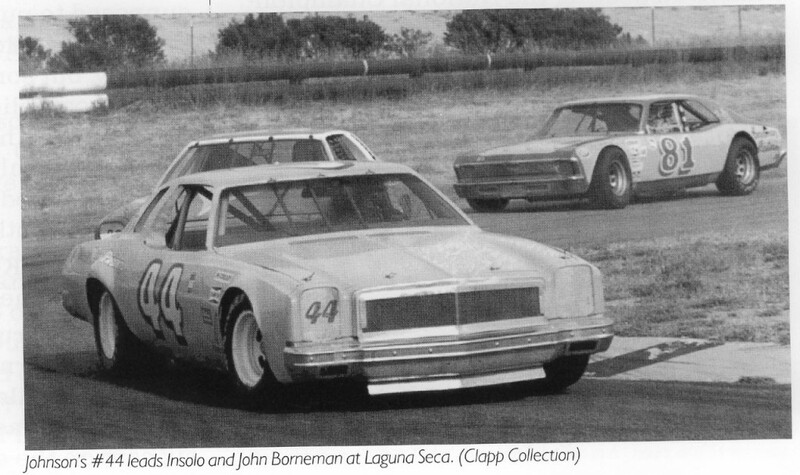 Now then I would challenge anyone to say that NASCAR and Stock Cars in general have not had a significant impact to auto racing in the United States, and to the point that Stock Cars did not race at Laguna Seca? 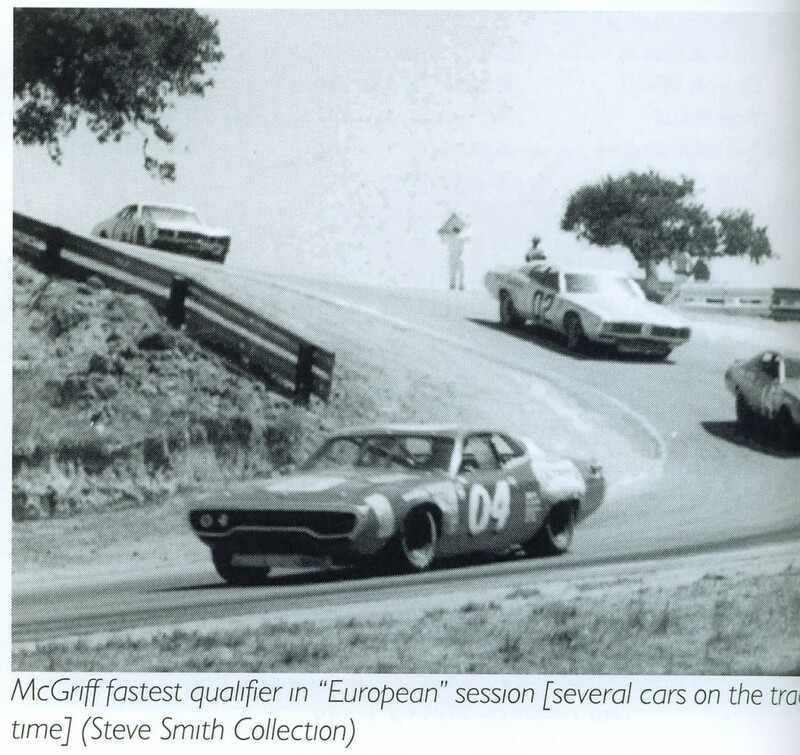 Don’t forget your history 🙂 — The NASCAR Grand National West series raced at Laguna Seca several times in the 1970s as a regular stop on their schedule. I’m a huge sports car fan don’t get me wrong, but these old girls deserve to be there as much as any Can-Am, Trans-Am or GTP car does. See below. 9 Responses to Weekend – NASCAR at Laguna?! This is SUCH the cool project! Will the car be the original Evening Orchid, or did it race in different colors? Great post on Laguna, Shaun. I’ve driven it in a Spec Miata and an M3 BMW. Both just instructional track days, but tons of fun never the less. 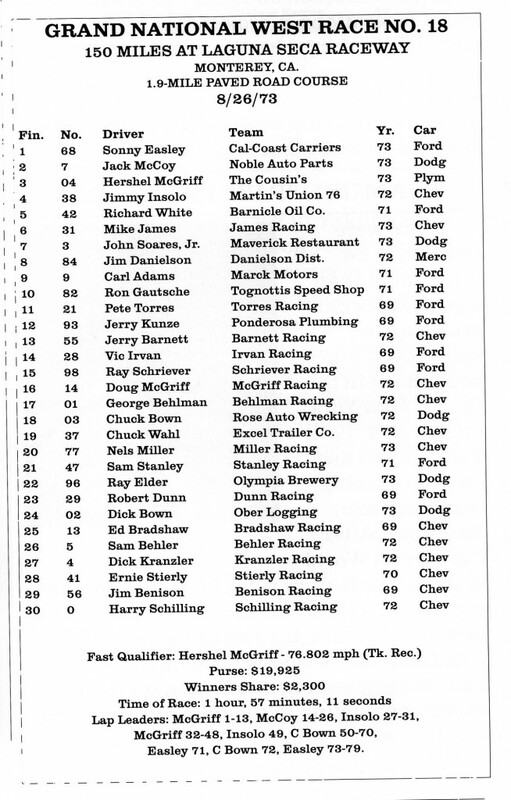 I attended my first race there in 1967. Good luck on your super fast restoration. You’ll do it!! The car was only ever Evening Orchid and was never another color. The car is being restored exactly as it raced in 1965, engine, paint, etc. including RED WHEELS — if you can believe it – I have a color video of it racing in 1965 which shows in fully living color that it raced with wheels matching the red numbers on the side and roof, with the purple tinge or evening orchid — its a really cool color combination. Objecting to stock cars running at Monterey Motorsports Reunion is preposterous, and you certainly don’t need to offer justification. They’re just afraid this bad boy might T-bone a 100-point 356C. You’ve got a really great project going on; thank you for sharing. I wouldn’t give a moment’s thought to people objecting to this project or whatever venue you choose to share it with real enthusiasts. Restoring this car is inspirational. I’ve run the “Historics” numerous times since my first outing in 1981. Lotus 26R, Ginetta G4R, Lotus Super 7, etc. No one should object to a real period piece being there. Most of the racers I know can appreciate automotive examples from other periods and other forms. Carping about real race cars running an historic event just because it isn’t your flavor is akin to those one marque bores who can see nothing but there own. Good luck and save your brakes, looks to be a lot of fun. Thanks and good luck on restoring a car from an important age of racing in the U.S. In my opinion, Nascar would be much more interesting if they were racing “stock cars” modified such as they were in the 50’s, 60’s, and 70’s. Its a 15×8 wheel with a 4″ offset with 6 lug bolts. Its a funky wheel with a center from some sort of farm equipment and a stock outter rim. It fits under the stock body of an impala just fine only difference of course on the stock 65 Impala would be a 5×4.75 bolt pattern but thats also a 4″ backspace/offset.